Visitation for Millie Shultz, age 64, of Sulphur Springs, will be held from 6 to 8 PM. on Thursday, February 7, 2019 at Murray-Orwosky Funeral Chapel. Private family inurnment will be held at Mt. Sterling on Friday, February 8 with Brit Fisher officiating. Ms. Shultz passed away on Thursday, January 31, 2019 at her home. Mildred Sue was born on September 13, 1954 to William and Faye Hooten. Millie taught for over 30 years at Bowie Elementary. 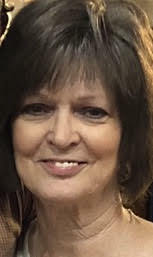 She is survived by her son Bryan Shultz and wife, Kristi; grandchildren, Hannah Shultz, Haylee Shultz; sisters, Teresa Carpenter, Janie McCauley, Libby Jacobs. Millie was preceded in death by her parents and daughter, Courtney Shultz.